Pete has just announced a booking to play the Kitchen Garden Café in Kings Heath, Birmingham, on 19th February 2018. 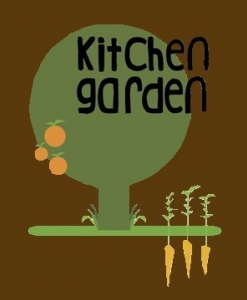 Tickets will be available direct from the café <info@kitchengarden.co.uk>, or via wegottickets.com. http://www.wegottickets.com/event/422082 -- currently 36 tickets remaining. Now only 7 left at wegottickets.com. Looking forward to tonight's gig .... may hopefully see some other Voices? Pete on top form - venue like having someone playing in your living room! The Kitchen Garden Café in Kings Heath (I'm following what seems to be universal local usage in using no apostrophe) turned out to be a terrific venue. It's a haphazardy linked collection of congenial brickwalled spaces, full of pine tables in the daytime, full of chairs aimed towards a performance corner in the evening. It seemed to me to work exceptionally well. So it's a big thank to Julia Parsons for contacting me and setting it all up, and another big thank to everyone who filled it up on a winter's Monday evening and who constituted a wonderfully attentive and generous audience. The list for the first set is accurate, I think, and I'm fairly sure the second set includes everything I did, but maybe not in the right order. I'm sorry about the requests I didn't manage to fit in, but, hey, next time, eh?